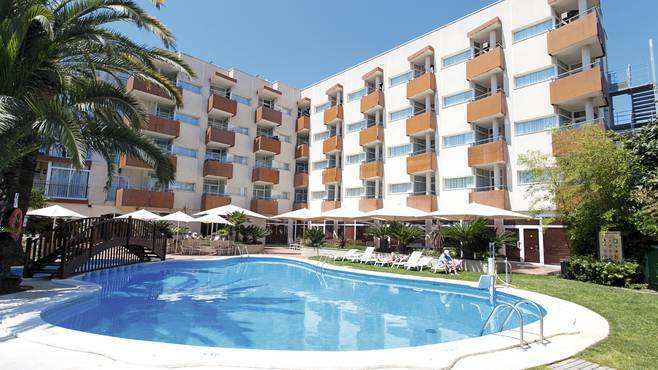 A family-run hotel with a very nice location by the port of Cambrils. 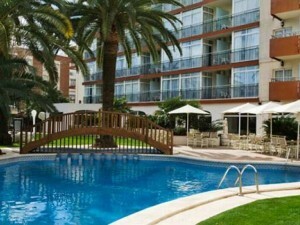 70 meters to the beach and really short walking distances to restaurants and shopping. Facilities: 104 rooms, restaurant, bar and lounge area, outdoor swimming pool, jacuzzi, steam room, sauna, massage, gym, meeting room, beautiful garden, underground parking (with charge), Wifi in all the rooms free of charge. This family-run hotel offers a very personalized service and has a great location just by the beautiful harbour promenade in the fishing village of Cambrils. The hotel has over the years won numerous quality awards and clients can rest assure that their stay will be a pleasant one. The hotel offers rooms in two categories: standard and superior, with the superior rooms being slightly larger in room size. All rooms have balconies and some superior rooms have their own roof-top sun terrace. On the ground floor you will find a relax area with jacuzzi, showers, a steam room and a sauna. For the convenience of golfers it is possible to leave golfbags in a locked room behind the hotel reception. Free Wifi in all of the hotel.